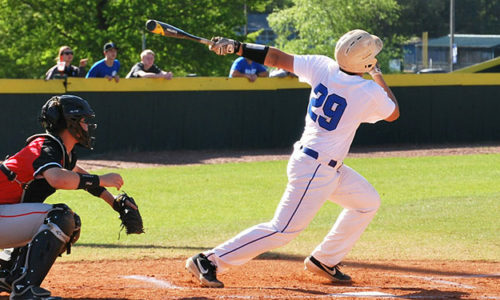 Some of the best Bryant Hornets teams of the last 20 years had suffered bitter disappointment at the hands of the Fort Smith Northside Grizzlies. The first time the two teams met was in 1999 when, in an incredible turnaround season, the Hornets were 11-0 going into the quarterfinals of the State playoffs against the Grizzlies in Bryant. Northside stunned the Hornets 14-0 and went on to win the State title themselves. In 2004, the Hornets were 10-1 going into a quarterfinal showdown with the Griz. Northside ended Bryant’s season with a 24-10 decision. Again, in 2011, Bryant had won a conference championship and was 8-2 going into their playoff game at home against Northside only to have their hopes dashed by the Grizzlies again, 45-35. 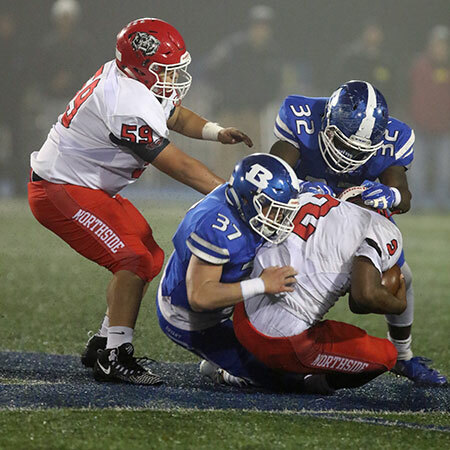 But, on Friday, the 2018 version of the Hornets got a little payback for their predecessors, thumping Northside 28-7 in the first playoff semifinal game ever played at Bryant Stadium on an increasingly foggy night. 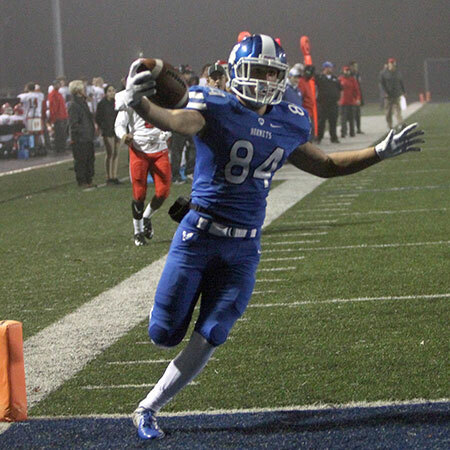 And the victory vaulted Bryant into its first-ever State title game. 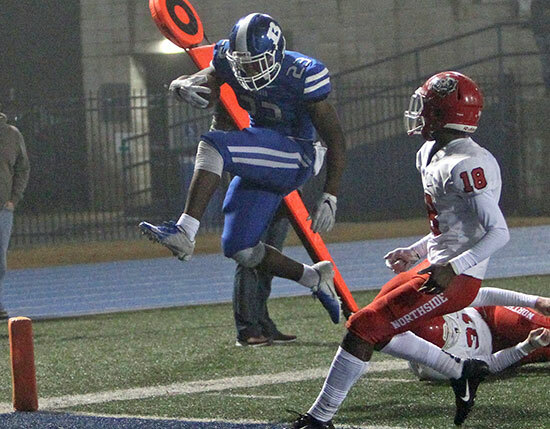 They’ll battle the rival North Little Rock Charging Wildcats, the defending champion, for the 2018 title on Saturday, Dec. 1, at 6:30 p.m., at War Memorial Stadium in Little Rock. 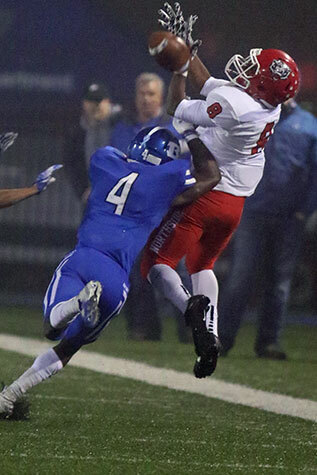 Bryant will end the season where they started it, at the big stadium, the site of the annual season-opening Salt Bowl with the Benton Panthers, who, incidentally, captured a spot in the 6A title game with a win at West Memphis. “Hopefully, it means a lot to our community and our school. I know it does our kids,” said Bryant’s third-year head coach Buck James, who, in the past, has led Camden Fairview to several title games. “You can’t have good football without great players,” he stated. “Players get the first credit. Then you have to have good coaches. You’ve got to have good administration. I’ve seen administrations bog a football program down. These guys have done a tremendous job supporting us. Then, our parents have let us coach their kids. We’ve asked them to do some things that are definitely unorthodox. Running with it, indeed. 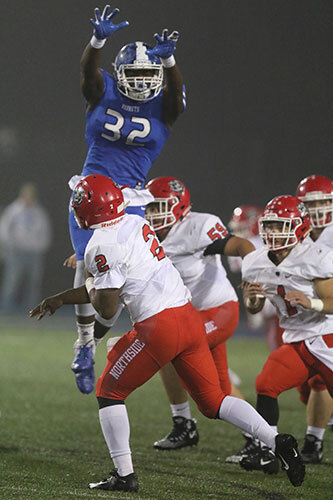 The night was highlighted by senior Latavion Scott, rushing for 146 yards and two touchdowns to become the program’s all-time leading career rusher, surpassing incomparable Chris Rycraw’s mark of 3,165 yards. Scott now has 3,178. He’s just 44 yards away from breaking Rycraw’s single-season mark of 1,651 yards. He’s tied with Rycraw for the most rushing touchdowns in a career with 34. He has scored the most touchdowns in a season by a Hornet with 24. The 100-yard game was Scott’s 18th of his career, a record that was 16, held by Rycraw. The Bryant defense was key, holding Northside to a net of just 113 yards of total offense in the game, just 91 yards, all on the ground, in the first half. Northside had just six first downs in the game, just two after intermission. Grizzlies’ star quarterback Deuce Wise, who came in with over 1,000 yards rushing and 1,000 yards passing, didn’t complete a pass until the first play of the second and wound up 2 of 12 for 23 yards. He rushed 16 times for 26 yards. “Coach Sanders just wasn’t going to give up the big play,” James asserted, referring to first-year defensive coordinator Quad Sanders. “He wasn’t going to let the quarterback (Wises) beat us. We knew that he was the head of the monster. 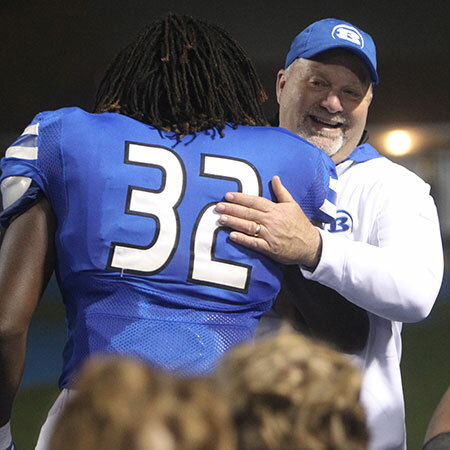 “All week, Coach Sanders said that guy’s not beating us,” he continued. “Now, they might have two or three other guys step up and do it but that guy’s not going to beat us. He’s a great athlete and they ask a lot out of him and our kids just did a good job of bottling him up. I thought our D-line played extremely well. We didn’t give up a big play. That’s two weeks in a row we haven’t given up a big play. The Grizzlies’ lone score came early in the third quarter. With Bryant leading 14-0 with the football, they jarred the ball loose from Bryant’s Latavion Scott. Northside’s linebacker Anthony Travis recovered and, when there was no whistle, he dashed 38 yards for the TD. A review of the game video revealed that, when he recovered the ball, Travis was on a knee and the play should’ve been whistled dead at that point. Unfazed, the Hornets came back to score twice more to seal the victory. “I’m proud of our defense,” James reiterated. “To be able to pitch a shutout — I’d venture to say, how many times Northside’s been shutout in the history of their program. To be able to do that — heck, that gives you a chance to win a championship. They played great. 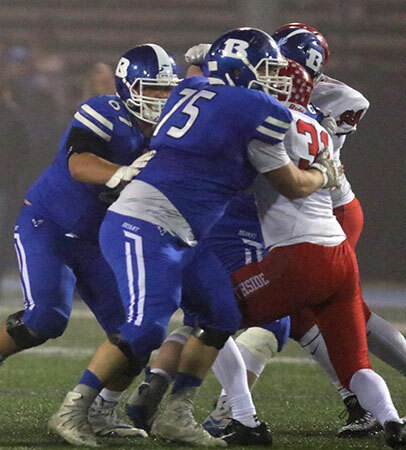 The offensive line has been stellar all season but particularly in the second half of the campaign, centers Austin Trimble and Josh Stevens, guards Jacob Burton, Tanner Wilson and Clay McElyea, along with tackles Logan Burton and Blaise Smith. It was a scoreless first quarter and both defenses stymied the opposition. The Hornets managed two first downs on their first three series. The Griz mustered two as well, the first coming on their opening play, a 19-yard run by Jackson King, which turned out to be their longest play from scrimmage the entire game. 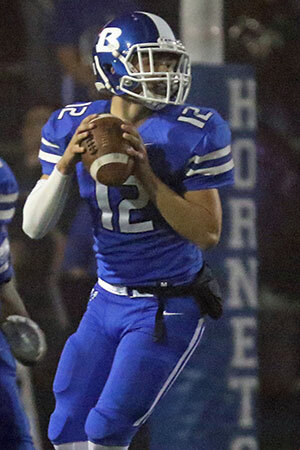 Looking to change the pattern of events, James inserted sophomore quarterback Austin Ledbetter late in the first quarter. The first drive he commandeered, stalled out. In turn, Northside went backwards. A personal foul for a crack-back block negated a 17-yard pass completion from Wise to J.T. Thorne. On a first-and-24 from the 10, Bryant defensive end, Nate Wallace (Mr. TFL) dropped King for a loss of 5. Wise lost a yard on second down and the Grizzlies eventually punted from their own 10. Bryant took over at the Northside 43, the Hornets’ best starting field position of the game. 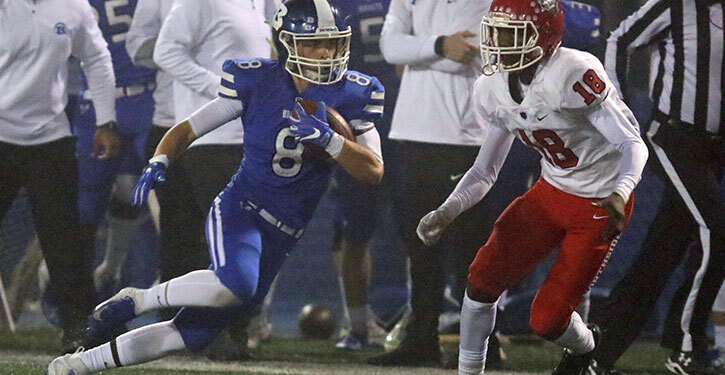 After Scott pounded for 6 yards, Ledbetter found fellow sophomore Hayden Schrader behind the secondary for a 37-yard touchdown to break the scoreless deadlock. Grayson Scoles added an extra point. 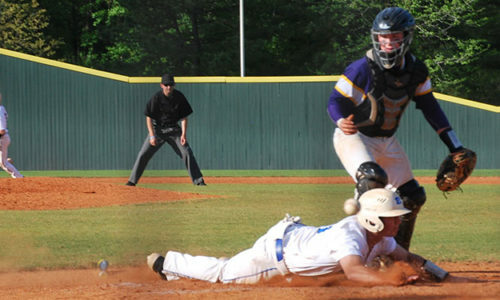 The Grizzlies went three-and-out and punted back to Bryant. From their own 20, the Hornets marched for another score. The first play was a 26-yard completion from Ledbetter to Jake Meaders. Later in the drive, facing a third-and 11 at the Northside 45, Ledbetter and Schrader hooked up again for 32 yards to the 13. Travis, however, sacked Ledbetter on the next play. In turn, however, Bryant set up a screen pass to Scott beautifully. With McElyea and Smith clearing the way, Scott broke it for a 25-yard touchdown with 4:21 left in the half. “Ren just looked like he was a little confused on what he was seeing,” James explained. “And I just felt like, you know, we were showing on tape and he was still not getting it. We had three series and I felt like it was time to try another guy. We can’t sit there and go four or five series without scoring. Northside got the ball to start the second half but went three-and-out despite Wise’s 5-yard pass completion to King. They punt the Hornets back to their 27 and, on two carries, Scott picked up a first down. On his third carry of the drive, the ball came loose leading to Travis’ score. From their own 35, the Hornets responded with their own TD march. It took six plays. Ledbetter hit Meaders with a couple of passes but when Scott was stopped for no gain on third-and-1 at the Northside 41, the Hornets lined up in the Wildcat with defensive beef, Austin Bailey, Nate Wallace and Josh Salguerio, adding to the blocking. He took the direct snap and not only picked up the first down but broke a 41-yard touchdown run that, with Scoles point-after, made it 21-7. 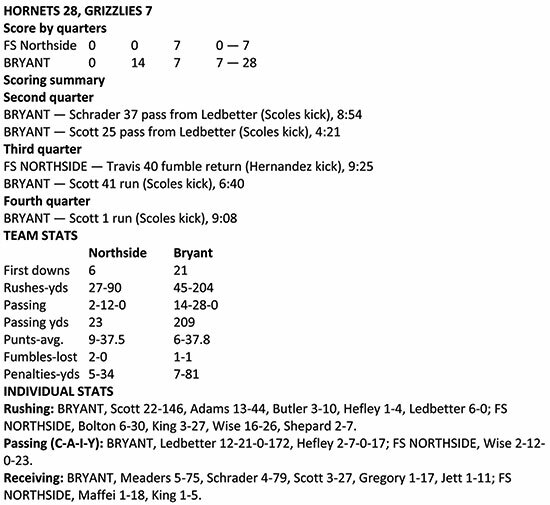 The first of Northside’s two second-half first downs came on a pass interference penalty against the Hornets to start the Grizzlies’ next series. Three plays later, however, they were punting again. Punter Dagon Moore wound up punting nine times in the game. After an exchange of punts, the Hornets put the finishing touches on the scoring after being punted back to their own 15, marching 85 yards in 14 plays. They converted two third-downs and a fourth-down play, along the way as they sapped the Northside defense. The fourth-down conversion came early in the drive. Ledbetter kept for the first down. Two plays later, on a third-and-10, Meaders hauled in a Ledbetter throw and turned it into a 25-yard gain. Even after a false-start penalty had turned a third-and-1 at the Northside 15 into a third-and-6 at the 20, Scott went wide and nearly scored. His 19-yard gallop set up his 1-yard touchdown plunge. With 9:08 left to play, the Grizzlies tried to mount a scoring drive as their hopes began to fade. Wise converted a third-and-16 by completing his second pass of the game, an 18-yard completion to Jeremy Maffei. From the Bryant 43, Wise was bear-hugged by Bryant defensive tackle Kajuan Robinson for a loss of 6 and the Grizzlies couldn’t make up for it. They punted for the final time with 7:07 left in the game. The Hornets drained the clock and, on the third play of the march, Scott broke a 14-yard run that broke the record. From there, Braylon Butler and Ahmad Adams did the honors until the Hornets reached the 19 where they finished in the victory formation. “We’ve just got to keep playing football,” James insisted. “We’ve got to understand where we’re at, what good practice does for us, stay humble, and go and compete against one of the best football teams in the South.